World-class curler Shannon Kleibrink stands on the ice of the Mankato Curling Club's ice, giving feedback to young curlers as they hone their technique. 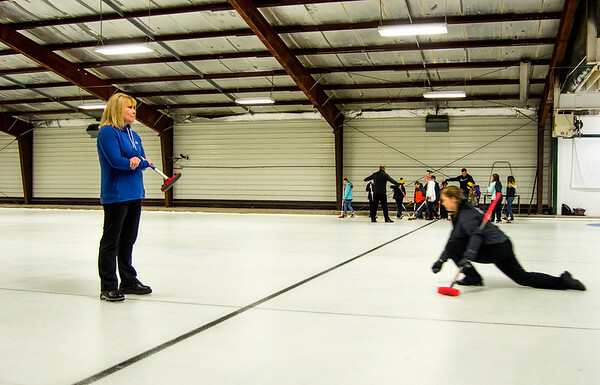 Kleibrink, a 2006 Winter Olympics bronze medalist, visted the curling club as part of the World Curling Federation's Olympic Celebration Tour, which was geared toward getting youth excited about curling. The Mankato Curling Club, Kleibrink said, is a well equiped loacation. "If this was Canada, this would be full because this is a beautiful facility," she said. "You have an awesome club here."